Here at Haghani Law, we pride ourselves in being a true Advocate for our client. For us, the only thing as important as achieving the best results for you is to provide the best kind of service possible throughout the duration of your claim. Yet, our duty to our clients does not end there. 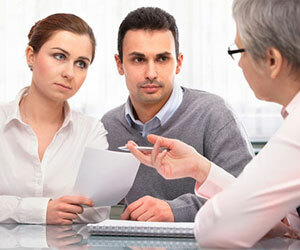 Once you are a client of Haghani Law, you can always rely on us for help. We make house calls; not just for the first meeting but throughout the duration of your claim; and not only for our clients in GTA but anywhere in the Province! Whether the injuries you sustained make mobility difficult or you just do not want to pay enormous parking fees, give us a call and we will be there to visit you. We believe that a true advocate needs to have the time necessary to handle the case properly. Otherwise, he will do a disservice to his or her client. At Haghani Law your matter receives our full attention because we intentionally keep our workload small. And remember, your lawyer will always be there for you to talk to. We believe that great results can only be achieved with effective and extensive communication between lawyer and client. You will not be asked to pay legal fees unless we win your case – either by settlement or trial. We pride ourselves in having a close tie with the medical community in our area. From hospital discharge to assessing your needs after settlement or trial, we have the best experts in the industry ready to serve you. Equipped with a dedicated network of professionals in every field, from accountants to neurosurgeons, you will be supported by the best in the field. Our expert will provide all the opinions necessary to help your case succeed.